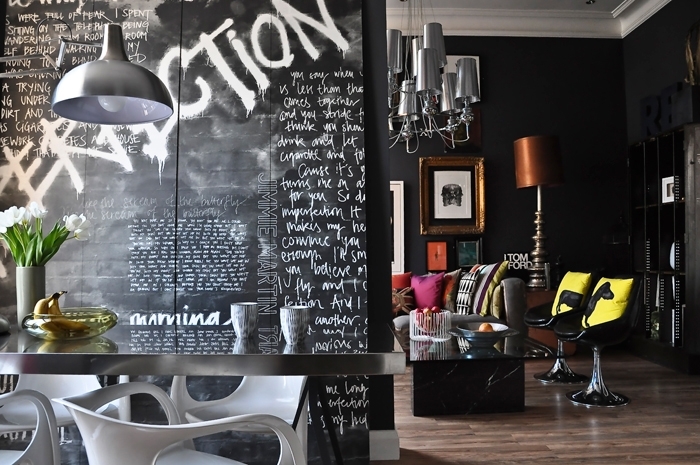 Black & white delight with M.M. 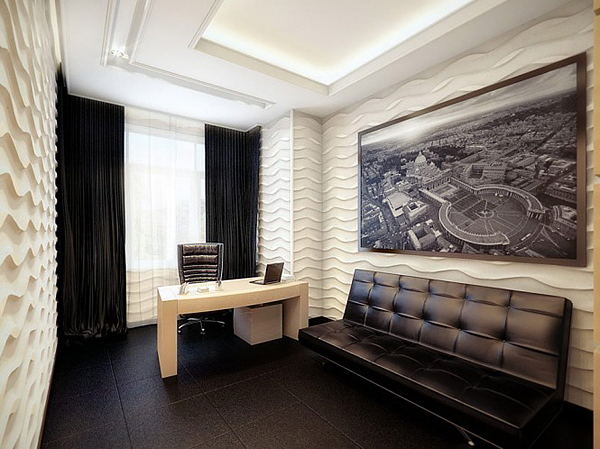 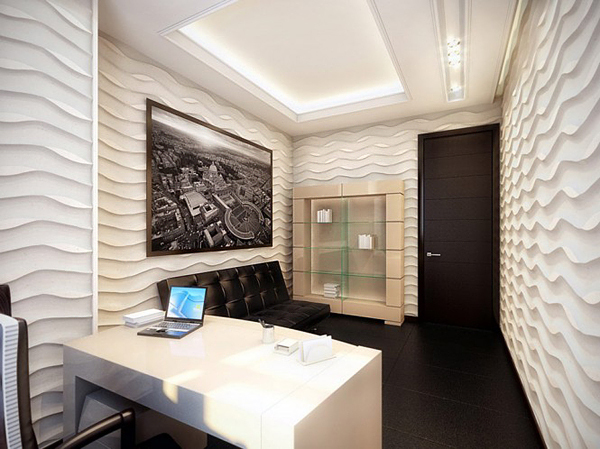 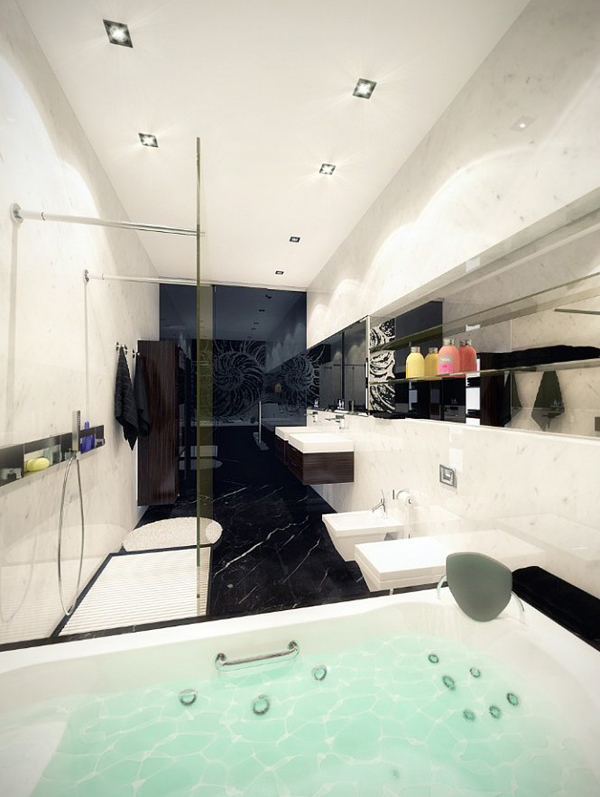 The elegant apartment we would like to present to you is created by the Moscow-based designers from Geometrix. 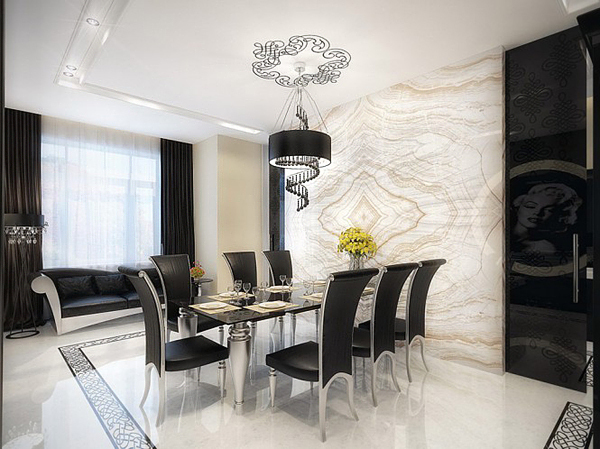 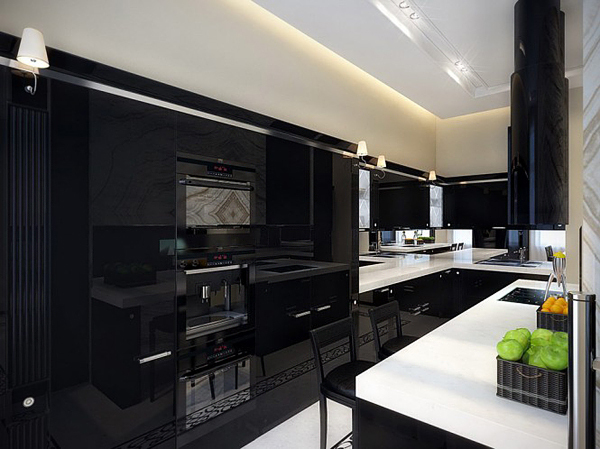 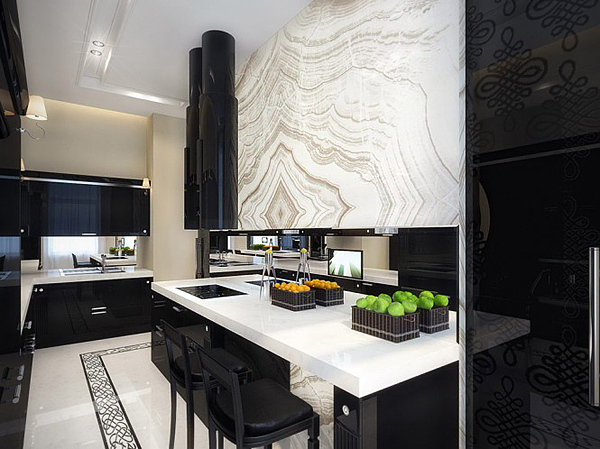 Although the black and white trend is quite old and used a lot, it continues to retain its demand because of the classic luxury style it adds to the interior. 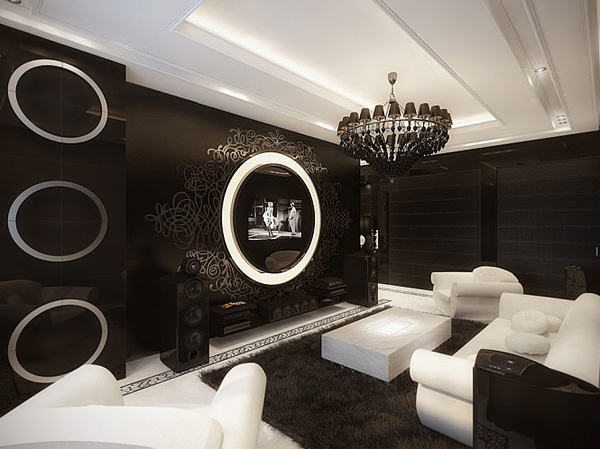 The eccentric idea of the designers was to mix the modern black and white look with beautiful Marilyn Monroe prints on the walls evoking the 1950-s. Retro style can be also noticed in some of the art deco elements used. 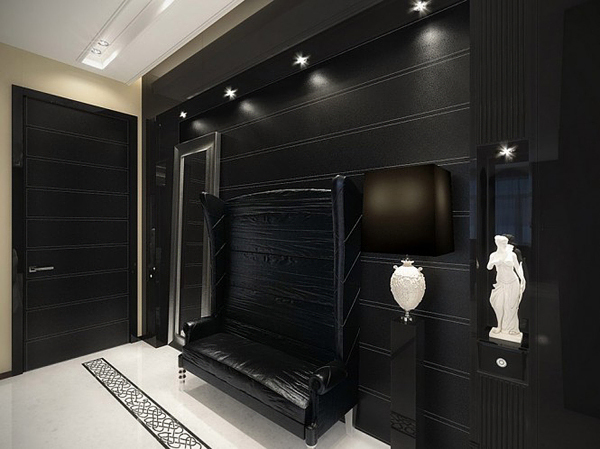 The fancy interior is represented by leather furniture, futuristic lighting objects and elegant details all from luxurious materials. 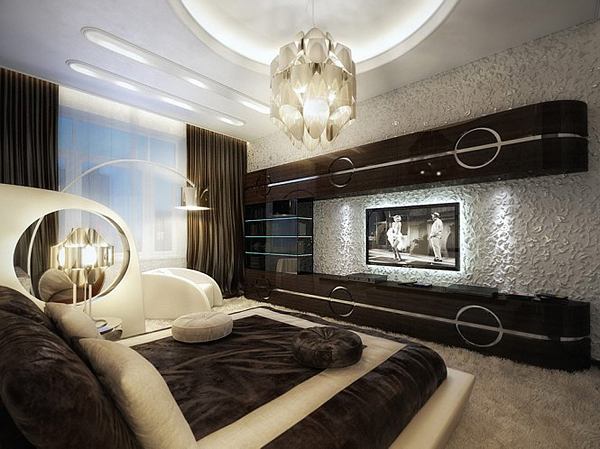 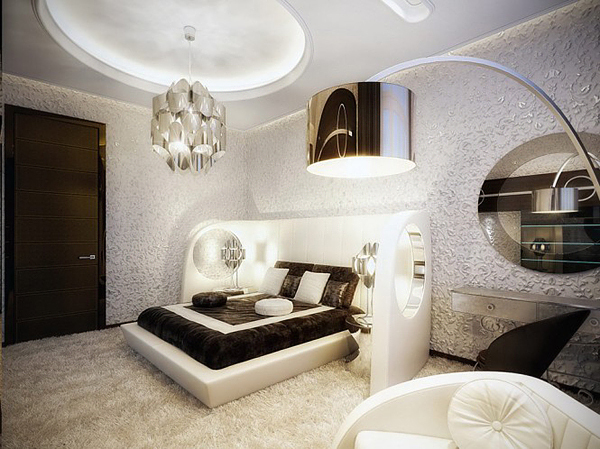 The monochrome cold color scheme is softened up by some neutral colors like cream and brown to create a cozy ambience. 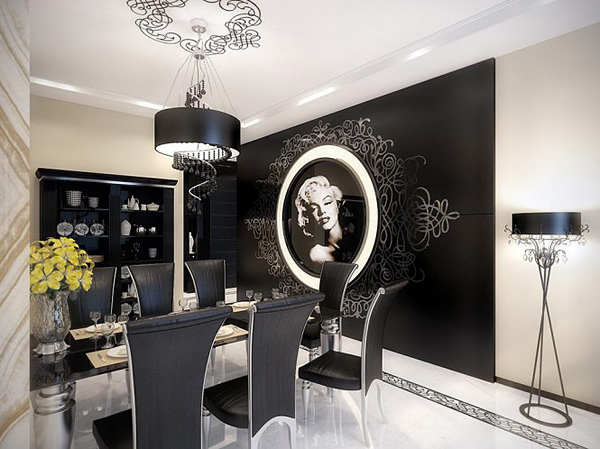 We think this apartment is so sophisticated that the Hollywood star Marilyn Monroe would really admire!